Day 1: Choose Package & Design, Receive Instructions. Once you purchase the website Package and choose your design, all instructions for next steps will be emailed to you, including the questionnaire and domain name instructions. Day 2 : Give us your info. Just tell us a little about your business. If you have any text that you know you’d like to include on the site, such as a bio, a company description, a mission statement, just email it to us. You can also send us any media you would like to include on the site, such as photos, audio, or video. Day 3 & 4: Sit back and relax. We will design your entire site as you watch! 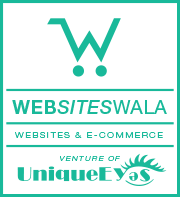 We will give you an online web address at which you can view your site as it is being built. Day 5 : Website Review. Take a look at your website/content and send us any changes you would like. At this stage, we will be happy to make adjustments to the website to meet your specific needs. We will use our seasoned expertise to design the best site for your specific market, but we will always have open ears to your suggestions along the way. We are making any requested changes to your site. We have made the changes you requested and your site is live. Enjoy your new site! You have two weeks from the Site Complete time to have one final site review. We will make any changes you would like to the site, within the guidelines of your purchased package, our hosting/support is always available for help with your website.